A year after her breakout role in “Girl’s Trip,” Haddish is indeed busy. 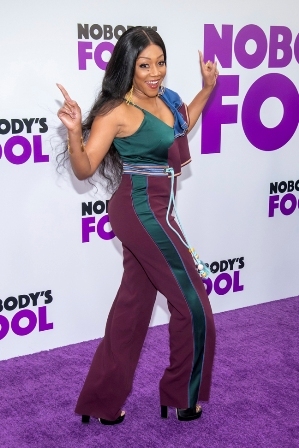 Up next is the Tyler Perry written-and-directed comedy “Nobody’s Fool,” which pairs her with Tika Sumpter. They play sisters, with Whoopi Goldberg as their mom. Once Haddish's character gets out of jail, they discover that Sumpter’s boyfriend is catfishing her. But at a time when comedy has struggled mightily at the box office, Haddish has proven the great exception. “Night School” was the first traditional comedy in more than two years to open No. 1. “Nobody’s Fool” isn’t expected to manage the same feat; it opens against “Bohemian Rhapsody” and “The Nutcracker and the Four Realms,” and unlike those films, “Nobody’s Fool’ isn’t being screened in advance for critics. But there could be considerable potency still in the combination of Haddish and Perry, a box-office powerhouse, himself.